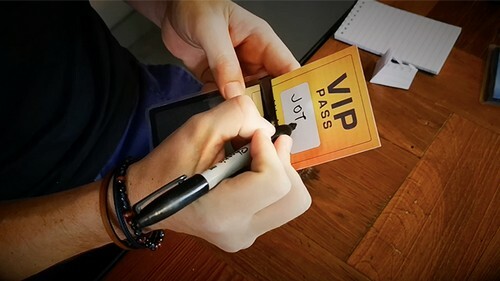 VIP PASS is a credential that allows you to teleport signed cards, bills, coins, tickets, pieces of paper or endless objects in a powerful way. You can also predict the thoughts and choices of spectators in a very clean manner. And the most impressive part: The spectator wears this amazing device all the time, hanging from their neck from the beginning -- they see it empty until the last moment! It includes six covers with different designs so you can choose the one you like the most. 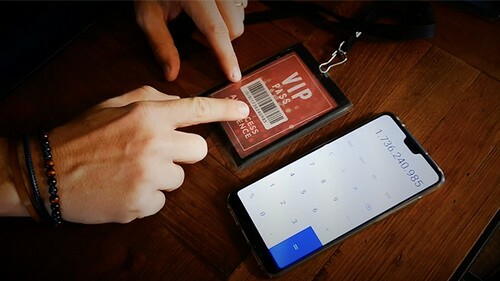 You can make extra effects with serial numbers, QR codes, perform an ACAAN (Any Card At Any Number), and much more. The act can be presented as street magic, parlor, stage, close-up, mentalism or comedy. You can even adapt it to corporate magic and customize it with the logo of the company. THE LIMIT IS YOUR IMAGINATION! 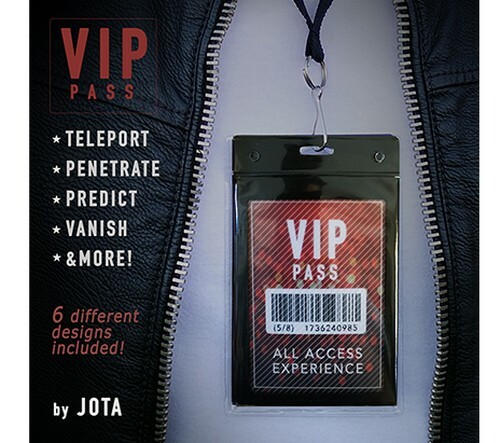 VIP PASS includes an online tutorial video that explains in detail how to adapt it to your needs. An everyday object that fits in a pocket, with a modern design and a high-quality finish! Powerful, customizable and easy to do! 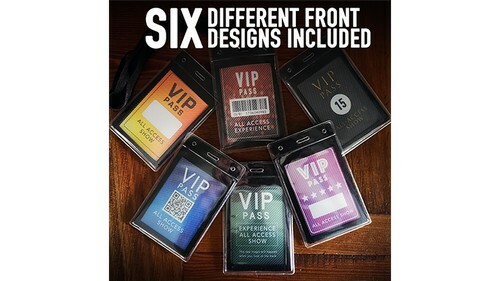 HIGHLIGHTS: "You can teleport a signed card, bill, coin, ticket or a piece of paper inside a credential THAT WILL BE hanging all the time from the spectator's neck." "It can be presented as street magic, parlor, stage, close-up, mentalism or a comedy act." "Ideal for corporate events because it is easily adaptable to the company's logo."